Already have a room painted, filled with toys, and the latest video monitoring systems? What about a baby crib? 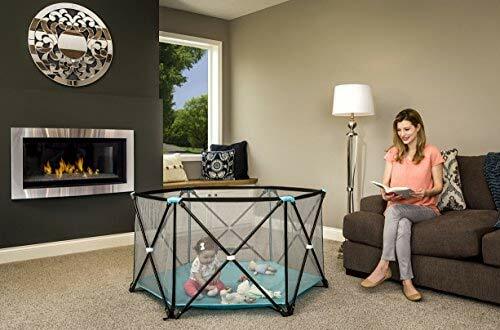 If you’re looking for a replacement or haven’t already purchased one, the list below containing the top 10 best baby cribs in 2019 will narrow down your choice. 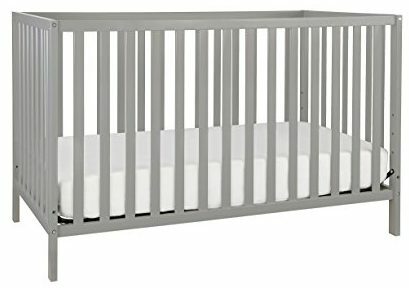 If you’re in the market for a new crib or looking to gift one to a couple’s newborn, look no further than Babyletto Hudson’s crib. You have a bed of your own and maybe everyone does in your family. 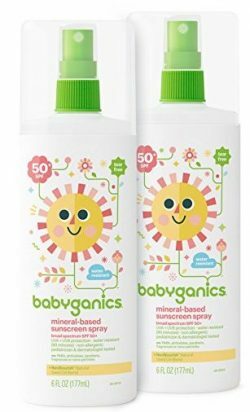 So, why should the toddler miss out? 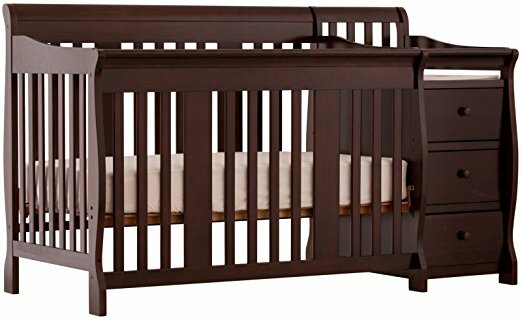 Choose the convertible crib by Graco Benton. 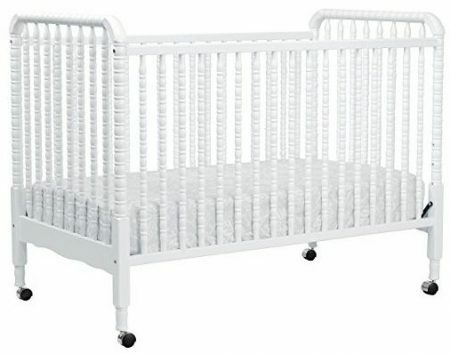 A toddler crib is sort of a castle for your baby. 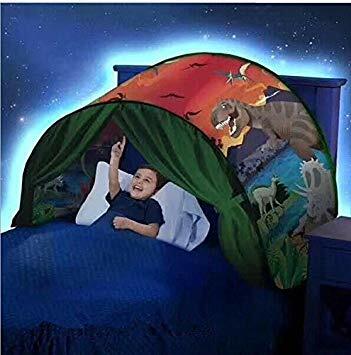 It’s got high barred-walls on all four sides for protection with a soft underbelly for your kid to sleep on. In many ways, DaVinci’s crib is no less than a stronghold for your baby. 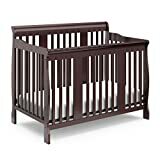 This crib is available in four colors: cherry red, espresso, natural, and white that exude a mellow and warm tone and fit in perfectly with the paint job of the toddler’s room. 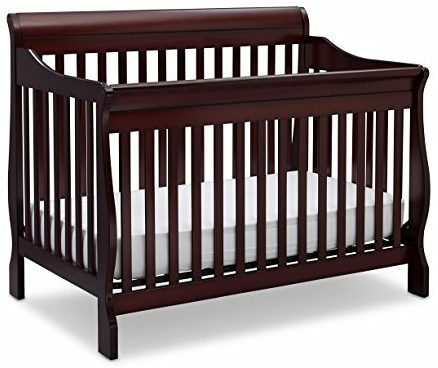 Delta Children Canton’s crib is easy to assemble and measures 54.25” X 43.25” X 34.25” in width, height, and depth. It is made from durable and sturdy wood and is elegantly poised in four shades: dark cherry, espresso cherry, clack, and dark chocolate. 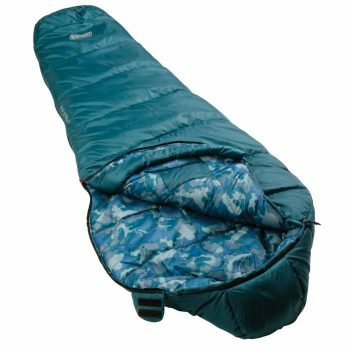 The Union Crib weighs only 39.5 pounds so that it can be easily moved around. 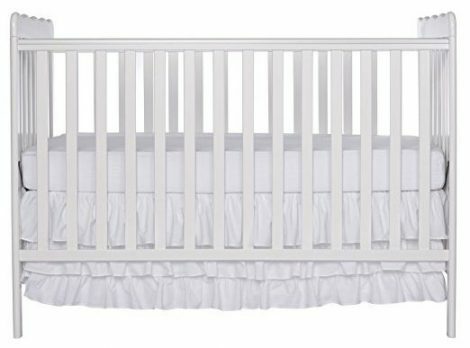 Moreover, its dimensions 53.5” X 30.5” X 33.5” ensure that your baby is protected and gets a sound sleep. Storkcraft has been leading manufacturers of the toddler and teen furniture since 1945, preserving quality and garnering innovation for over 70 years. 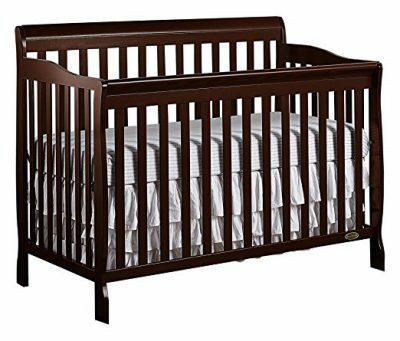 This crib of theirs weighs 125 pounds and measures 71” X 32.5 “ X 43 inches. 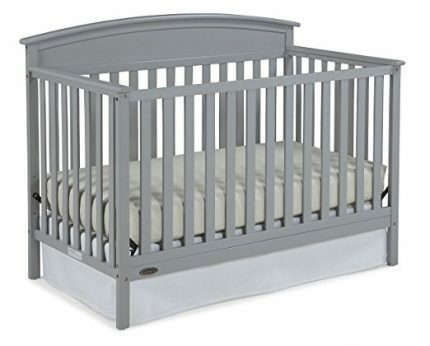 This crib by Storkcraft has a timeless design and is extremely lightweight at only 79.8 pounds. It measures 53.7 x 32 x 43.2 inches and is available in the cherry shade. 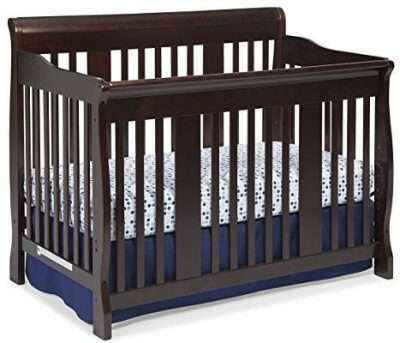 This crib deserves to be on the second spot because you get a ton of color options; 12 colors to be precise. 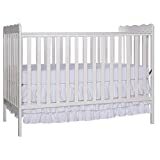 It is made from 100% sustainable New Zealand pinewood with the inner crib’s dimensions at 52.125 x 28.125 inches. 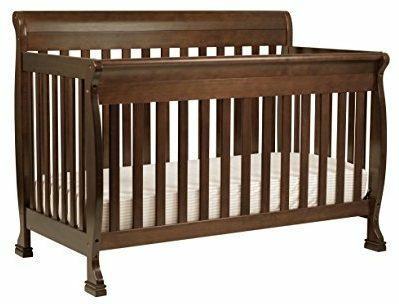 The frame of this crib is sturdy and is set low. It also has rugged looks and complements any decor as it is available in 8 elegant finishes. 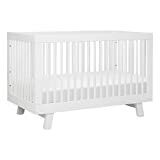 Cribs need to be guarded by rails on all four sides for safety and must also be free of chemicals. 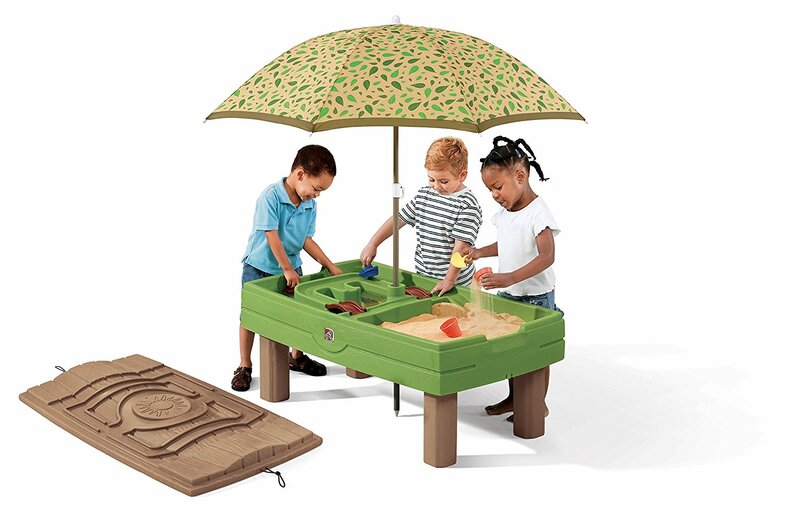 You’ll also have to look into its multifunctionality feature so that your child uses it as he or she grows up. 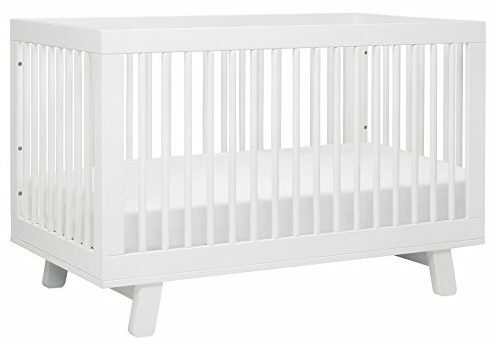 A reinforced and comfortable crib makes sense for a toddler who needs quality sleep to grow up. Pick one that matches the decor in your child’s room. After all, it’s all about making memories and to watch your child grow up.